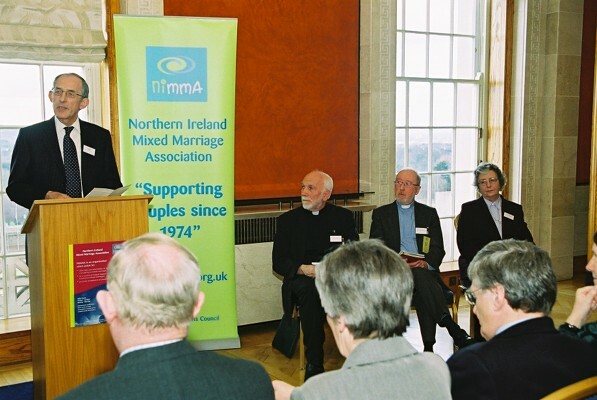 "Supporting couples who are united in love across traditional Christian divisions and promoting acceptance of these relationships within Northern Ireland society"
The report was produced with the support of the Anchor Foundation and made possible by American academic Jayme Reeves. View the extracts and obtain your copy by contacting us. There is some thought that the practice of intermarriage between ethnic or religious communities can have social benefits that contribute to the communal common good. 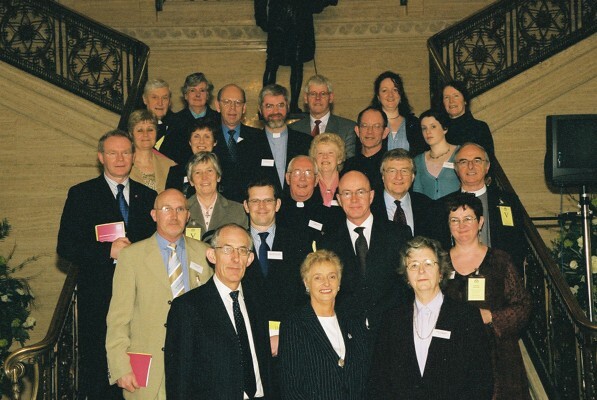 Members of NIMMA have noted that intermarriage provides “an o p p o r t u n i t y f o r m o r e understanding of the position of the other, and therefore less blind hatred, and perhaps a loss of fear of each other.” Other advocates of intermarriage have stated similar ideas, noting that if there is a lack of “genuinely close personal relationships and the achievement of at least a measure of institutionalized solidarity is understanding and tension are inevitable”. Furthermore, there is also the understanding that children of these intermarriages have an advantage as they are able to move in and out of both communities, exhibiting “doublebelonging” and contributing to a long-term “lessening of the t e n s i o n b e t w e e n t h e communities” as they grow up and begin to contribute to society outside the family circle. In the first half of the 20th century, there were cases in Ireland where the non-Catholic spouse was brought to trial and convicted for not keeping the ‘promises’ and therefore guilty of neglecting one’s children and conversion was considered to be the easier route when choosing to marry someone of a different tradition Thankfully, the requirements regarding the promises were relaxed substantially in 1970 with the passage ofMatrimonia Mixta requiring the Catholic partner to only do what was in one’s power to do, within the marriage, to raising one’s children as Catholic. Intentionally vague, the ruling allowed for flexibility of interpretation that was of benefit to mixed marriage couples. However, it took another thirteen years (1983) before it became enacted and enforced by authorities within the Irish Roman Catholic Church. While the ability to get married has become easier over the years, the issue of baptisms has become more difficult. As couples no longer convert in order to be a single-tradition family, the desire to baptise their children into both traditions is a natural consequence. In the early days, ecumenical or joint baptisms that were concelebrated were done in much greater frequency. However, in the last 15-20 years the ability to baptize one’s children in this manner has become more difficult as church authorities have frowned upon joint baptisms…. © 2016 Northern Ireland Mixed Marriage Association.